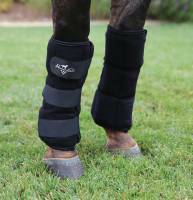 Neoprene exterior insulates the frozen gel pockets keeping the boots colder longer, thus increasing the therapy time. 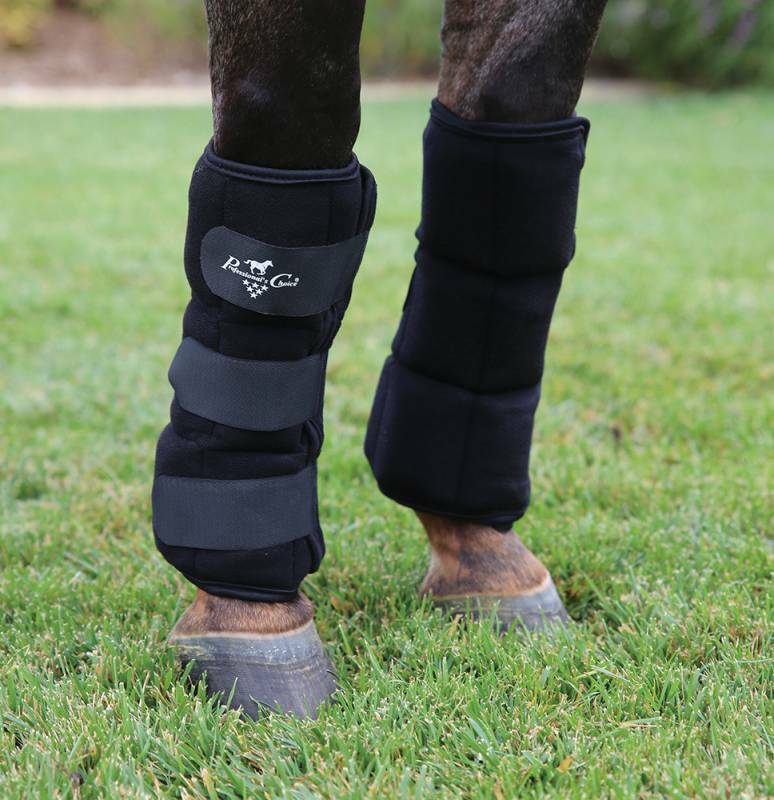 Smooth nylon lining eliminates the potential for damaging the tissue from exposing the skin directly to ice; while also preventing dirt, shavings and debris from sticking to the boots. 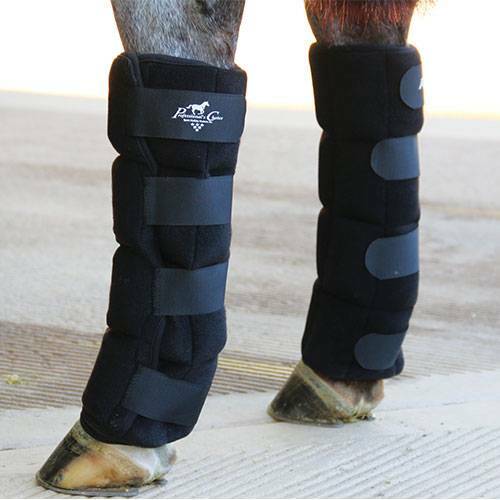 Extended hook and loop straps allow easy application for all horses. Packaged in a convenient set of two these boots also come with a mesh carrying bag. To activate, place in freezer until frozen, can be then transferred to ice chest or cooler for use away from the barn or a freezer. 30-Day Money-Back Guarantee/Six-Month warranty or as required by law. Sold in pairs. Standard has 3 hook and loop straps. Large has 4 hook and loop straps.